HAVE YOU EVER WANTED TO TRY OUT CANOEING OR KAYAKING? 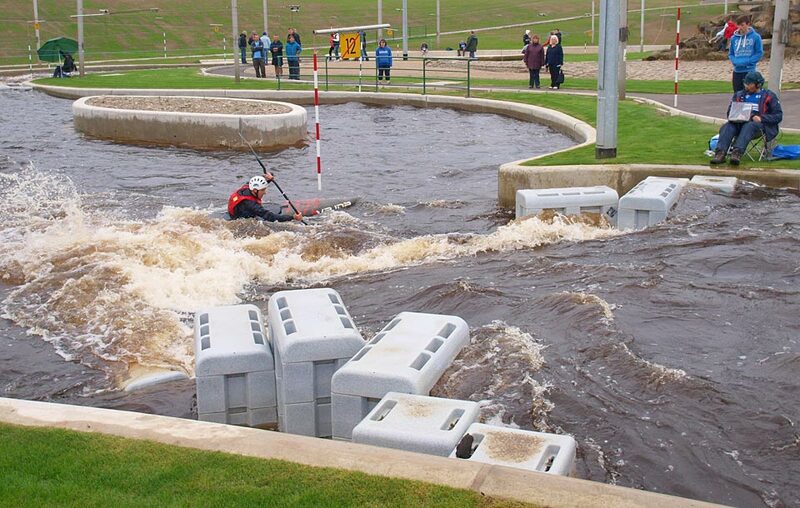 DURING GO CANOEING WEEK YOU HAVE THE CHANCE TO TRY OUT THIS GREAT SPORT FOR FREE – YES FREE! West Yorkshire Canoe Club in partnership with Pugneys Country Park will be running a series of taster sessions over the coming Bank Holiday weekend 28 – 30th May. The sessions are FREE and will be held at Pugneys Country Park and all equipment will be provided BUT sessions are limited and on a strictly first come first served basis. Participants must be age 8+. Please supply names and ages if under 18 of all interested participants. Unfortunately the pool at Batley will close for four weeks from Sunday 6th June for urgent repairs, this means the last session will be Friday 4th June and then no Friday pool sessions during June. There will however still be the Thursday night sessions at Pontefract pool. However we will look to run some outdoor sessions on Friday nights on local rivers etc. for those interested. We have our club trailer and plenty of boats and kit at Pugneys so if people are interested in outdoor sessions we can organise the required equipment. We will post details of each session here on the website and on social media sites and would ask that people who are interested contact the organiser to make arrangements. Please note unfortunately the outdoor sessions are only open to club members and all participants must be competent swimmers. If you have not already subscribed to the club website please do so using the subscribe section on our website – all posts will then be delivered automatically to your in box. We can only apologise for this inconvenience but it is something that is beyond our control. Washburn poster and information on website now! Washburn 2016 rafting weekend is fast approaching and will be here the weekend of 4/5th June. This annual event is run by our club each year and attracts a large number of club members as well as members of the public. The event requires a large amount of organisation over the weekend and offers of help will be greatly appreciated – please see a member of the committee if you are planning to be there one of the days and can lend a hand for a couple of hours. The water levels during the event will be high and not suitable for novice kayaker’s however anyone can come and try out the rafting as long as they are a competent swimmer. We have rafting equipment including several rafts, a limited amount of wetsuits, cags, buoyancy aids and helmets, you will however require suitable footwear – trainers/pumps or wetsuit shoes, Wellington boots are not suitable and will not be permitted. Emma Parkin and a few friends will be attending the York Canoe Club cruise on Sunday 15th May. This is NOT an official WYCC event but an informal friends Sunday afternoon paddle. As the sun shines down on the first session of our 2 star course the Guinea pigs – sorry pupils listen on eagerly to see what awaits them. A big thanks the Mike for running the course, hope you all enjoyed the first session. So the first Pugney’s session is almost here and the weather is going to be shall we say not good but hey, lets get down there and get some paddling in. Buy parking ticket from machine and display in car – parking is not under our control. Visit our green container and speak with Mark to organise your swipe card – you should have already filled in the form below, if not then you will need to complete tomorrow. If you intend to paddle you MUST get Pugney’s reception to swipe you IN – this means you will be logged on the water. Back to the container and sign in, pay and leave emergency contact number – under 16s MUST be signed in by an adult. Get kitted up and ready to paddle – do not enter the water until authorised to do so. At the end of the session please ensure all boats are emptied and kit is returned to the correct place in the container. Before leaving please ensure you swipe out at reception. Anyone wishing to paddle MUST be able to confidently swim at least 50 metres and ALL under 18s MUST wear a helmet although we encourage all participants to wear helmets. If you haven’t been before you will need to fill in some forms at the office and if you are under 18 you will need a parent or guardian to sign you in. It’s a great venue for anybody who is paddling grade 3 White Water and you are welcome to come along if at this standard. The course is not for the faint hearted or inexperienced paddlers but even if not paddling it is worth going up to watch and learn. If you can let Emma know if you intend to come along by email Here then we can keep an eye out for you. Please note you MUST contact Emma if you wish to participate – Emma will have the final say regarding your ability to paddle.